"Listen to Me," a novel by Hannah Pittard. Hannah Pittard likes to write about the things no one likes talking about. She wrote about the end of youth in The Fates Will Find Their Way; she wrote about suicide and credit card debt in Reunion. 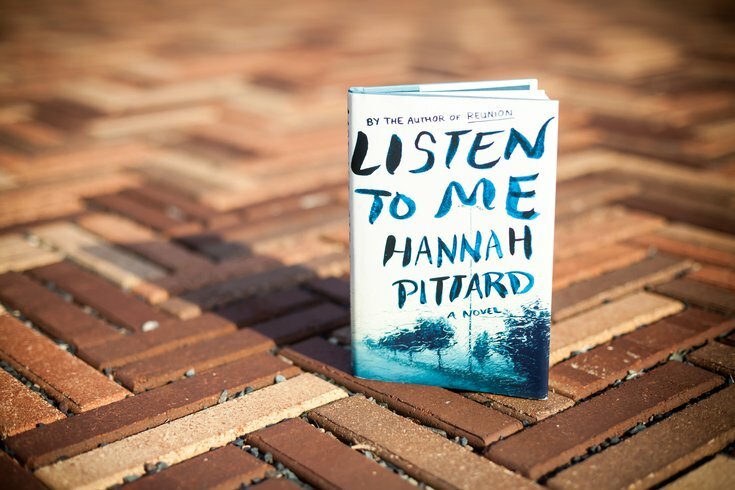 In her newest novel, Listen to Me, Pittard examines the way technology can negatively affect relationships. Listen to Me opens with married couple Maggie and Mark, about to embark on an old-fashioned American road trip to Mark's parents' farm. The trip is an annual event for the couple and their dog Gerome (they've never had kids), but this year the thrill is gone. Maggie, who was recently mugged at gunpoint, has become paranoid, teetering on irrational. She obsessively seeks out morbid news online. Mark, meanwhile, feels pushed to a breaking point by his wife's behavior — fearing she's become a stranger to him after so many years together. The road trip, where laptop and smartphone use is limited, and the getting-back-to-nature mentality on the farm is his desperate effort to reconnect them. Something is going to happen on this road trip; the suspense has been building since page one. But, as the omens pile up — an advancing tornado, power outages, remote locations, strange encounters — readers might start to think Maggie isn't so ridiculous. Something is going to happen on this road trip; the suspense has been building since page one. Neither character is extremely likable, and their backgrounds stumble into eye-rolling territory. Mark, the handsome professor, and Maggie, the successful veterinarian, might come from different upbringings but they've made a thus-far happy life together. He fell in love with her because of her unabashed gap tooth smile. Thankfully, their backgrounds aren't essential to the storyline. The focus is on their inner dialogues as they feel themselves drifting apart. Maybe they don't really know each other; maybe they don't really know themselves. Their online vices certainly imply that that's the case. Pittard writes her characters' vulnerable, inappropriate, selfish, trivial, scary thoughts with cringeworthy honesty. Mark wonders if his wife is actually a "loser." Maggie resolves with herself that sometimes women just need to "take one for the team." Moments like these ring true for their vulnerability. It can, at times, feel as though you've stumbled onto a diary page you forgot you wrote. No one wants to be a Maggie and no one wants to be a Mark, but it is easy to imagine yourself as either one. Pittard may write about the things that no one likes talking about, but readers should listen when one of her characters brings it up.